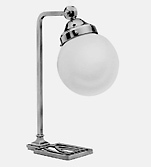 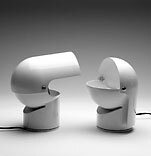 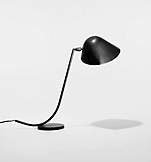 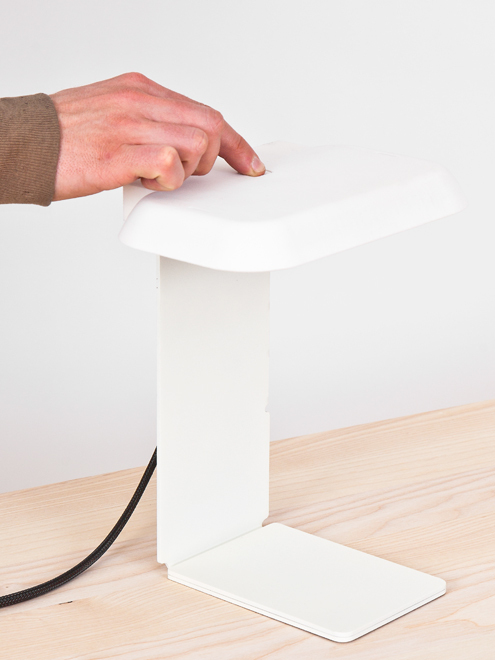 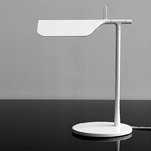 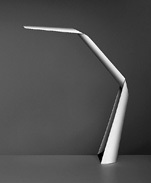 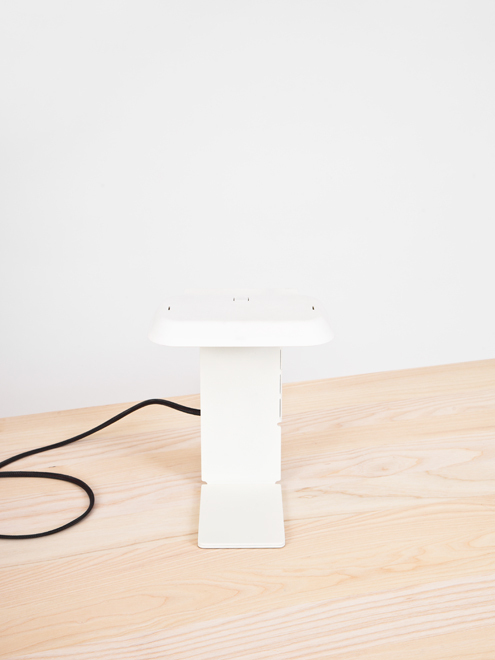 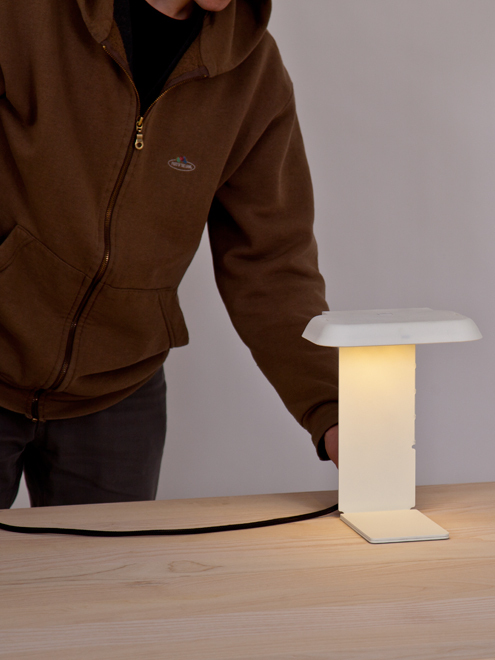 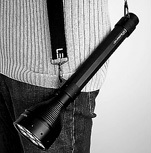 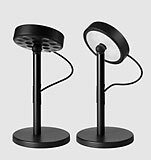 A simple lamp for a non-specific use, consisting of two parts, each optimized for their tasks. 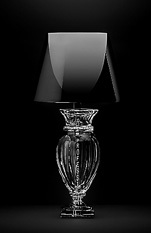 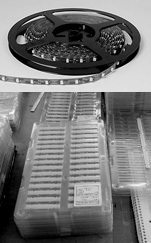 The lightweight translucent lampshade contains the LED lightsource and is situated upon a solid steel base. 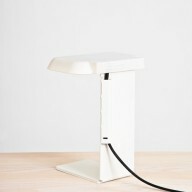 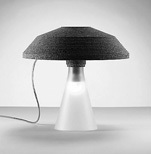 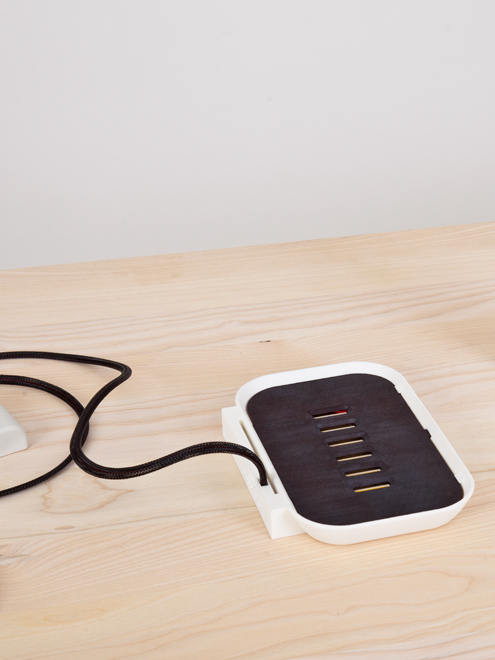 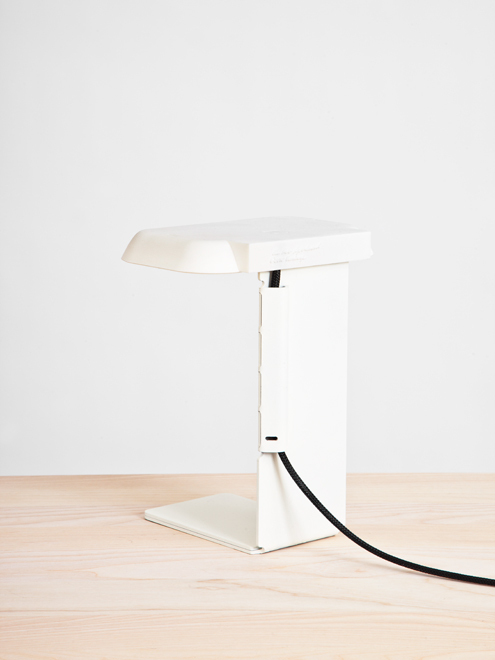 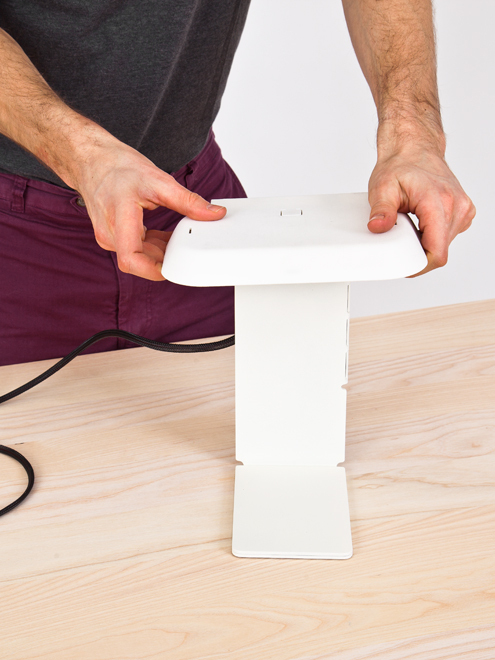 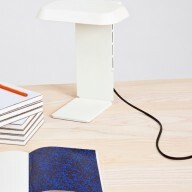 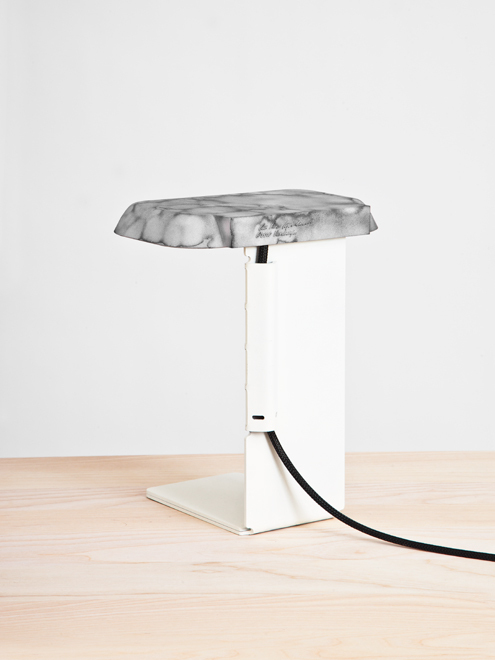 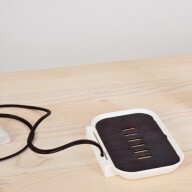 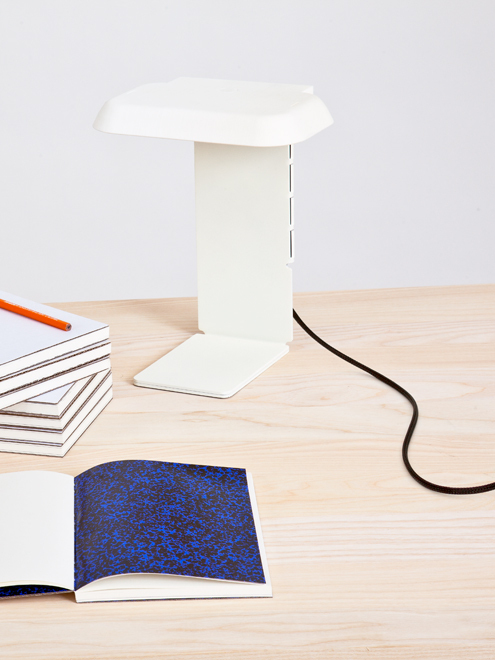 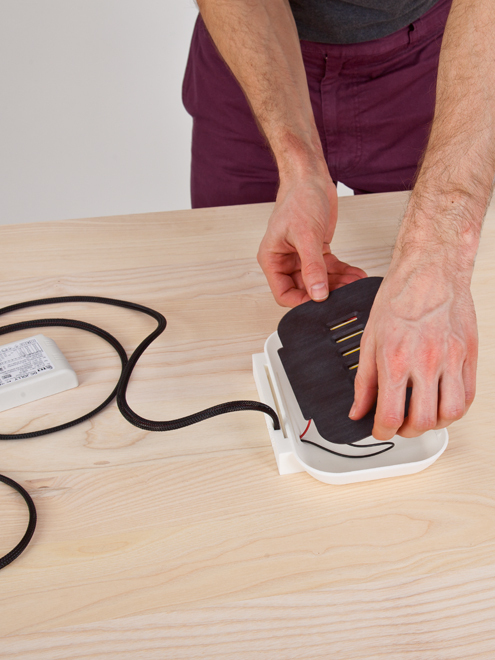 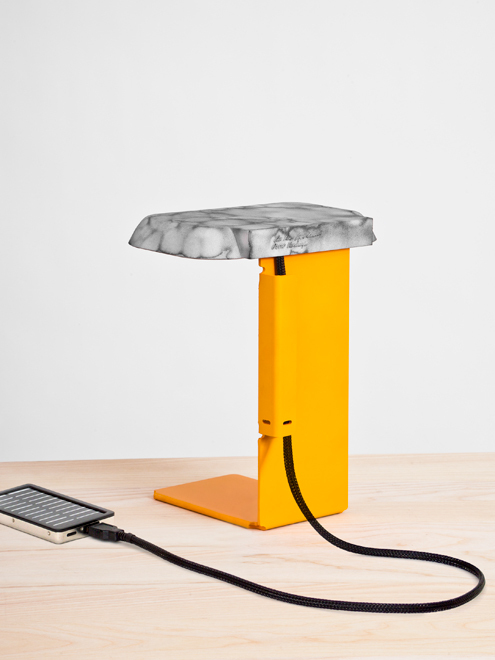 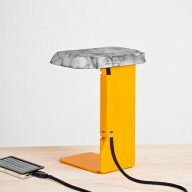 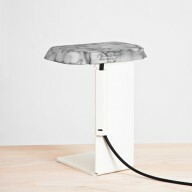 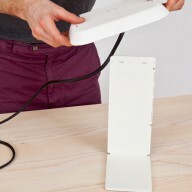 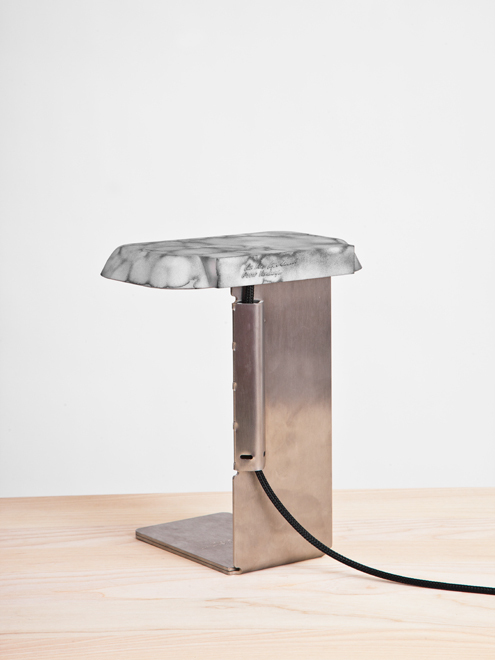 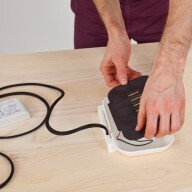 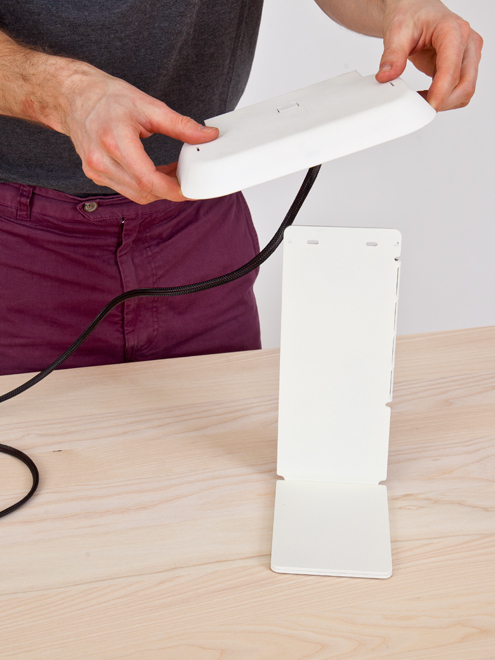 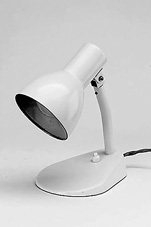 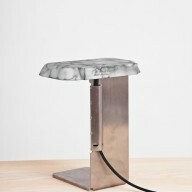 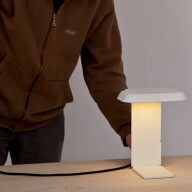 The lamp can be powered by a solar-charger, laptop or a power adapter. 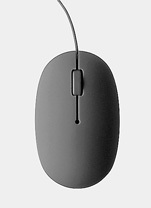 TitleMouse Trap /Year2005 /ByIndustrial Facility /DescriptionThe top moulding incorporates two buttons as part of its shell. 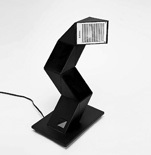 TitleFoldedlight /Year2009 /ByHarri Koskinen /DescriptionTable lamp made from a single sheet of folded steel. 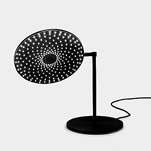 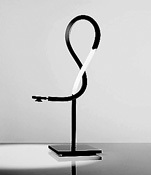 TitleU-Turn /Year2012 /ByMichel Charlot /DescriptionRotating, adjustable spotlight.